No other event in the world embodies the essence of woman empowerment like The Dinah does. 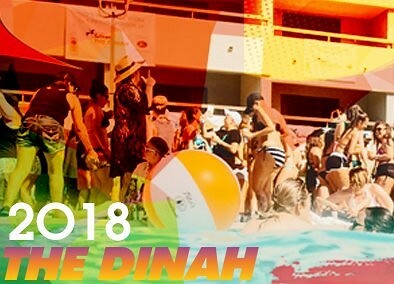 Standing strong and proud as one of the largest and longest running party & music festival for queer women in the world, The Dinah – celebrating its 28th anniversary (March 28 – April 1, 2018) – continues to affirm its unwavering commitment to focus on the power of women to create big and lasting change. 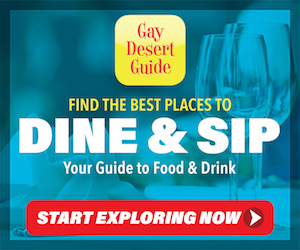 “Each year we look forward to the Dinah. Mariah and her team have always been so supportive of tello and our mission to make content for the community. This is one of the highlights of our year, a time when we can come together and be our authentic self among friends and like-minded people. We are excited to be back with the cast and creatives from our most popular series, “ comments Christin Baker, CEO of Tello Films. Today the Dinah is not just about lesbians, it’s about WOMEN – an event celebrating the tapestry of women who come from all over the world to simply be themselves.